The BS-1034 & BS-1034S Public Address Wall-Mount Speakers are matched with a supplied plug-in speaker receptacle, for easy installation. 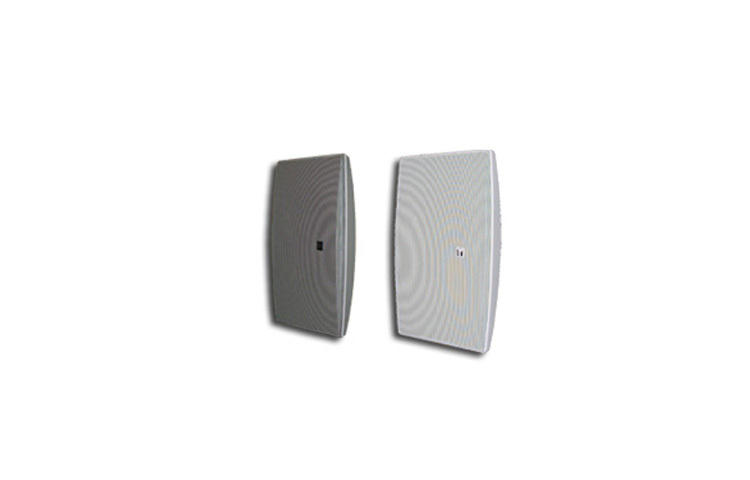 The 10W rated input BS-1034/1034S Public Address Wall-Mount Speakers combine a low-frequency 5″ (12cm) cone-type speaker and a high-frequency balanced dome-type speaker. An M4 screw terminal input connector allows easy connections. The speakers are driven on a high-impedance (100V or 70V) line, with rated inputs. The speaker enclosure’s design proportions are based on the Golden Ratio (1: 1.618). A low profile blends in well with room décor. Both vertical and horizontal installations are possible. Enclosure and grille net color is off-white, except on the BS-1034S, which comes with a silver net grille.